Traveling the globe with your golf clubs in tow can transform an average sightseeing vacation into an international claim staking mission. Each course you conquer is like another push pin inserted into the map of your golfing mettle. Exciting adventure and exotic travel are gaining popularity among some of today’s golf vacationers, but a trip to the birthplace of the game somehow never gets old. Look no further than the Arctic Open to get your golf adventure launched. 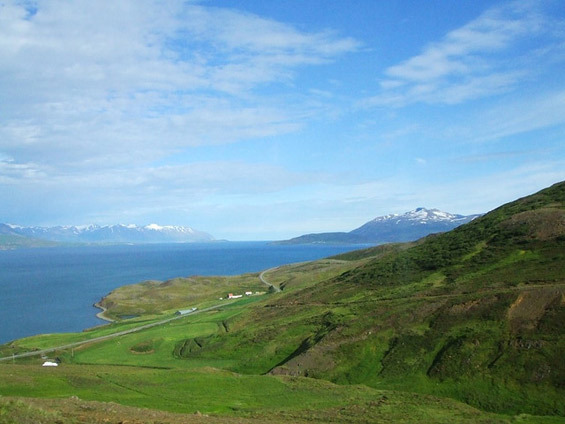 Officially listed by the Royal and Ancient Golf Club as the world’s northern-most golf course, Akureyri Golf Club in Akureyri, Iceland holds this 36 hole golf event every June when the weather is mild and the sun stays high in the sky all day and all night. Golf and handicaps have taken on a whole new meaning. A couple of weeks ago, at the picturesque Vuissens Golf Club, nestled in the lush rolling countryside of Switzerland, two atypical golfers, Guillaume and Quentin, were a sensation. Guillaume (15) is paralyzed from the waist down and Quentin (15) has severe motor-impairment affecting his entire his body. 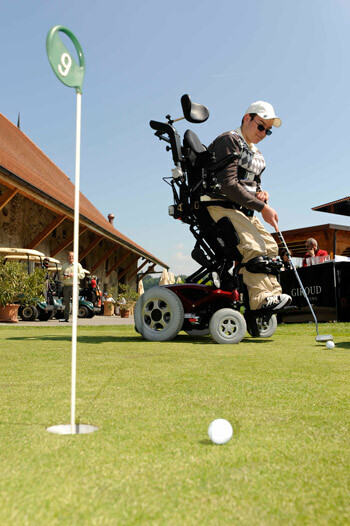 Wheelchair-bound, both teenagers have now been able to realize one of their dreams: to play golf. So, how can you improve the mental aspect of your golf game without compromising the physical part? Here are some killer tips to help you out. Both your mind and your body have to work in tandem. Physical golf training cannot be done without mental effort and vice versa. You visualize the golf shot and then your body works to produce it. 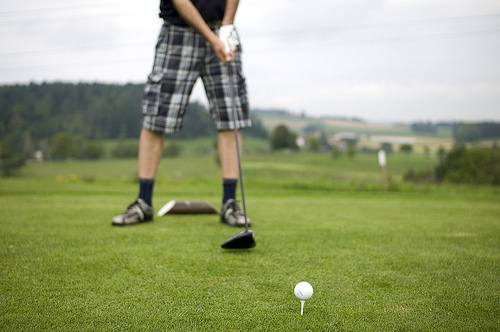 Without that mental image, you won’t be able to determine where you are going to hit the golf ball. Having the right attitude is important for having the mindset required for playing golf. A positive and optimistic outlook in golf is what you need when things are not going your way. A negative outlook will have you fearing getting things wrong. That is not the frame of mind you need to have. Focus on your past good shots and try to forget any fears during the next golf shot and what might happen if you botch it up. Confidence in your golf ability can get you over any limitations in your technique. Self-belief and confidence are two potent weapons which determine if a golf player is great or average. You don’t need to have the skill of Ernie Els or Phil Mickelson to win a round of golf. Trusting yourself to hit the golf ball where you want it to go can take you a long way. Perhaps the most important part of mental golf is emotional control. It’s natural to be emotional. You will experience all sorts of emotions, from elation to despair, during a game of golf. Keeping them in check is important. You have to maintain control of mind over heart. Getting too nervous or anxious is as dangerous as getting over-confident in golf. There will be a lot of pressure on you when you are playing and emotional control is crucial because it will help you keep calm under pressure. 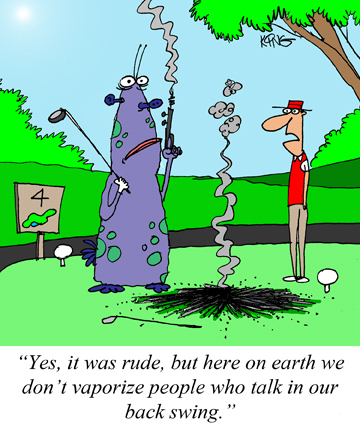 Sometimes golf players just think too much. When you have made a decision, stick to it. Over-thinking will create doubts in your mind about your ability. This will only add to the pressure you are already facing. You’ve just hit a golf shot right next to the pond. Now what do you do? Botch up the next shot as well! Here is where mental golf comes into play. You should have the ability to refocus after hitting a bad shot. 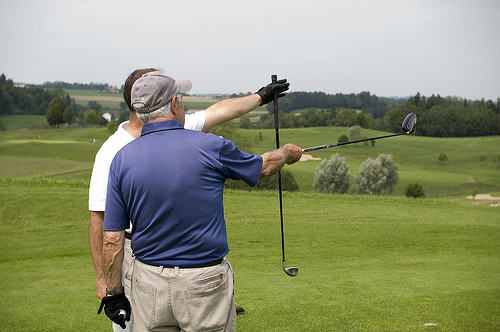 A bad shot is contagious and can lead to a string of 2 or 3 poor golf swings. Take a low golf club and chip the next shot – make a shot that guarantees success. Try and recover on the very first swing so that you don’t get written out of the game. Concentration is extremely crucial in golf. Concentrating on the job at hand determines success or failure. This is why it is important that you concentrate on the next golf shot you are going to hit. Sometimes, a golfer is thinking too far ahead and ends up making a hash of his shot. Last but not the least; you have to enjoy your game. Being able to smile helps calm your nerves as well as keeps your anxiety under check. Remember, a frown uses 43 facial muscles; a smile only 17. Frowning will use up more of your energy so go for the smile instead! In our last post we showed the best slow motion golf ball impact videos, now it’s time to look at the worst golf shots ever made. First up is 2009 World HSBC Championchip in Shanghai, China. The victims are Phil Mickelson, Ernie Els, Tiger Woods and Nick Watney who all seem to have a bad day at Sheshan International Golf Course. It’s Friday and after a week of hard work it’s time to think about what we love the most – Golf. Gorilla Golf Blog brings you five best slow motion golf ball impact videos. 1. Golf Ball Hitting Steel – True or Fake? There has been a lot of discussion about this video and whether it’s true or fake. Let us know in the comments what you think of it. Mental golf isn’t focused exclusively on thinking about the game and making your plans and strategies. It should help to develop instincts and adaptability. You never know what you may come across when playing a round of golf. You have to be prepared to tackle any situation in which you find yourself. Every year new golf driver designs are introduced to wow consumers and drive them down to their local pro shop. Credit cards in hand they line up to scoop up shiny new toys. 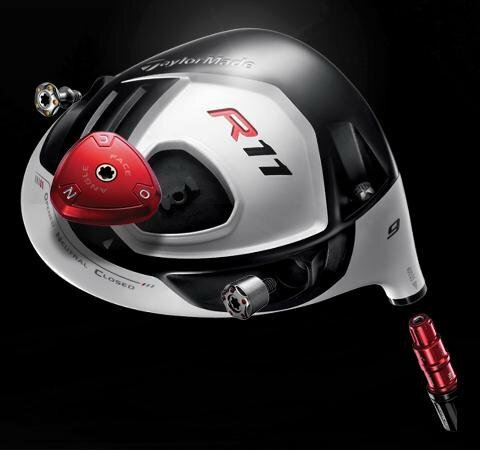 Demand never seems to fall short when it comes to golf drivers. Hey, according to some, chicks dig the long ball. 2011 is shaping up no differently, and although some groundbreaking golf technology has been released, most of us will most likely still struggle to keep it in the short grass.